235€ Int. / 275€ Ext. 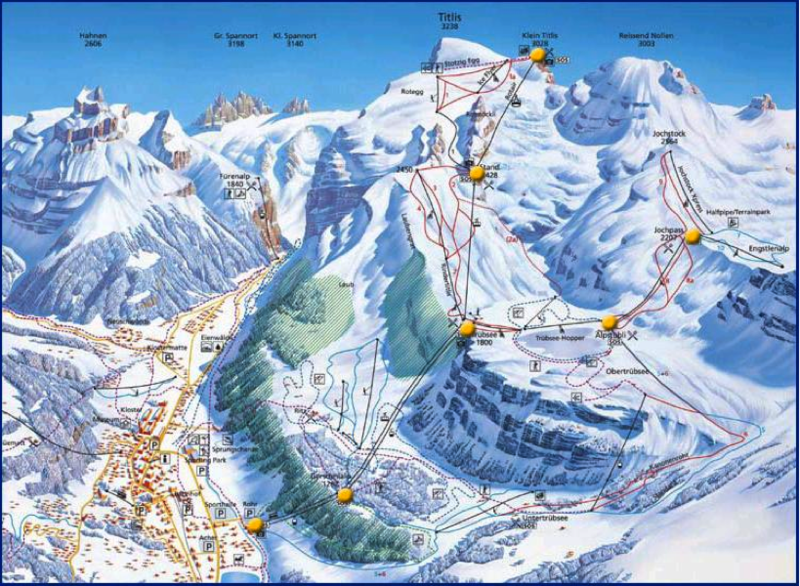 Ski pass, bus, accommodation and dinner in 4 star Hotel included! A 2 days trip in a beautiful resort amongst glacier and forests with the shortest drive of the whole season. Pistes: 25km easy, 53km medium , 4km difficult. From Titlis glacier down to Engelberg village, the 12 kilometres descent with a 2000m difference from peak to valley (one of the longest completely snow-covered downhill stretches in the Alps) will leave you breathless for beauty and excitement! The Igloo Village at Trübsee offers a unique opportunity to experience living like the Inuits do. Come by the Igloo Bar for drinks or fondue! On the new speed slope speed freaks can clock their highest speed (in kilometers per hour) on the big digital velocity display. A network of winter footpaths over 49 km long stretches over the valley plain and the winter landscape. All the routes are marked with signposts in pink and numbered. Interested in planning a night out in Luzern on Saturday evening? the bus will leave EUMESTAT at 15:45 and from ESOC at 16:00 on Friday the 8th February. We will arrive at the hotel still in time for a walk around. On Saturday and Sunday we ski, on Sunday we will leave the slopes around 5pm and arriving back in Darmstadt before midnight.